The staff was friendly. The breakfast was rich (as or French standards ;) ). The WiFi did not work the first afternoon but later on it was ok. There's a nice outdoor areas to sit and drink coffee/wine/beer. The stay was fine with friendly staff and good meal options. We were happy with the room although it smelled strongly of tobacco when we first entered it: it was supposed to be non smoking. The bed was comfortable and the shower was clean and worked well. The staff were all friendly and helpful and we enjoyed the evening meal we there. Overall we were very happy with our stay. Pleasant staff in nice surroundings, we really enjoyed our stay at ibis. It was also a great location. The moment you enter this hotel you feel welcome! The team is efficient, kind and very helpful. The rooms are typical Ibis: practical, clean and comfortable. The bathrooms are equipped with everything you need. Downstairs is the restaurant Courtepaille, the chef is amazing and his team also! Food is good and prepared with care, prices are extremely reasonable. This hotel is my &quot;home&quot; when I come to Geneva, twice a year. I love it. Mariana A. Very welcoming as usual. Friendly staff, nice accommodations, close to CERN. Restaurant food was very poor. I had salmon and a jacket potato. The salmon was raw in the middle and the jacket potato was overcooked and luke warm. The waiter was shocked at the state of the fish when he took the plate away. I didn't know it is cooked like that but I didn't want to take a chance on being ill.
Great bed, rooms and facilities. However the first room I stayed in had a very strong smell (of dog) to it and dog hair in the bathroom. The second room was cleaner, but still had a light smell to it..
As always with Ibis a nice hotel to stay in. 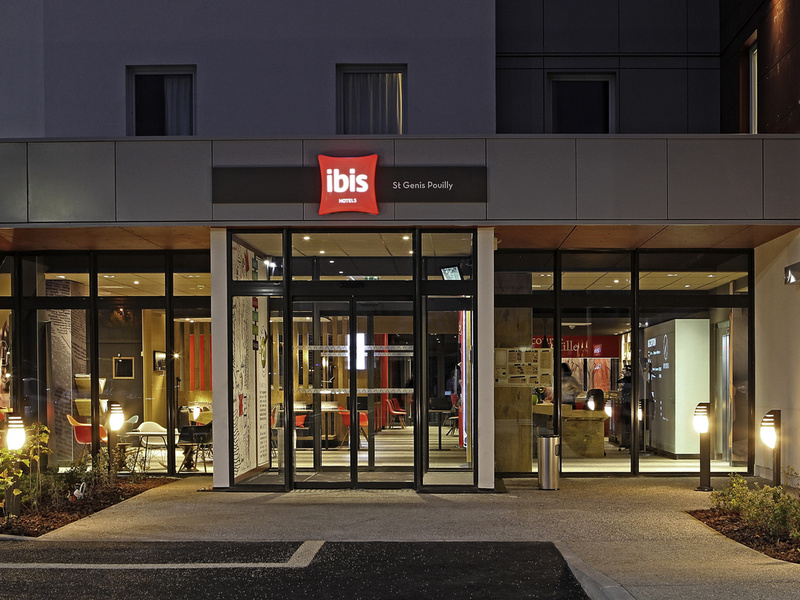 We had a good stay at IBIS St. Genis-Pouilly - comfortable room, excellent bathroom, convenient rdc location. Dinner and breakfast at the grill were acceptable.